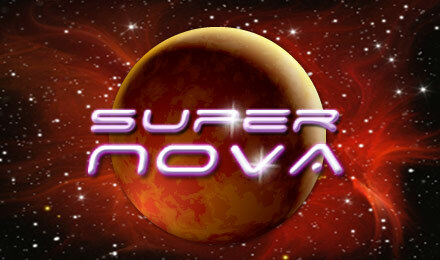 Go on a fun adventure through space when you play Super Nova Slots! It's not your average game though… The Wilds and Scatters are nowhere to be found, and instead there are Exploding Reels! Spin to win today! Get ready for a journey through space like never before! There are 5 reels, which are filled with Zodiac symbols, such as Scorpio and Leo, as well as the traditional Ace, Queen, and King, and 25 paylines. There are no Wilds or Scatters, but there are unique Exploding Reels, which you definitely don't see every day. There are various symbol combinations that trigger them, and while they're exploding, you can get extra coins. The reels will keep exploding as long as there are winning combinations. Spin to win Super Nova Slots today!